So right around New Years when the temps were well below zero, I planted some seeds...outside. Crazy right? For most of the flower and veggie seeds that I've always been familiar with, you have to wait until well into spring and the danger of frost has passed. But these were seeds of plants native to New England and the northern plains. Their needs are very different than the warm season annuals. 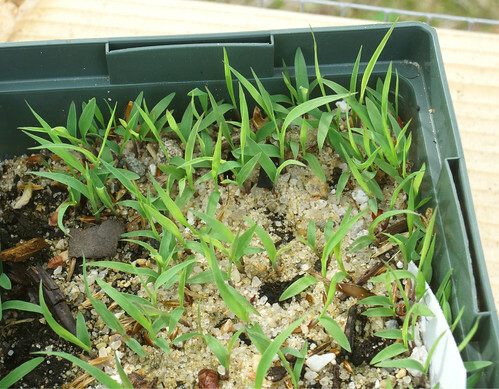 When thinking about a native plant's life cycle it makes perfect sense why I would sow these seeds in the middle of winter. Native plants flower in the summer and form seeds in the fall. Those seeds then hang out on the ground all winter until spring, when they spring to life (see what I did there?). 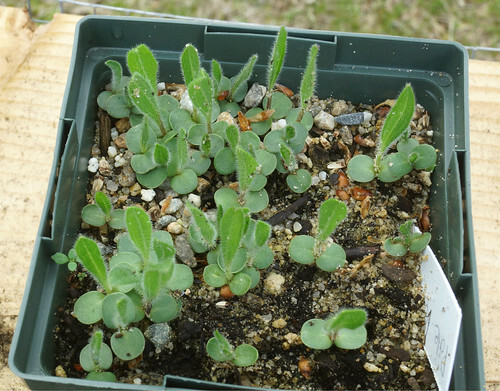 In fact, most native plant seeds have what is a called a cold stratification requirement -- where they must be exposed to cold weather in order to germinate. Thus, equipped with seeds from Prairie Moon Nursery and the Maine Wild Seed Project, I planted 26 different species in about 60 pots. I had cleared an area free of snow with the snowblower and built a frame out of wood and chicken wire to keep the critters out. I set the pots into their frame and didn't do anything to them until the snow melted. This spring, I've kept them moist and now there are little baby plants starting to emerge! 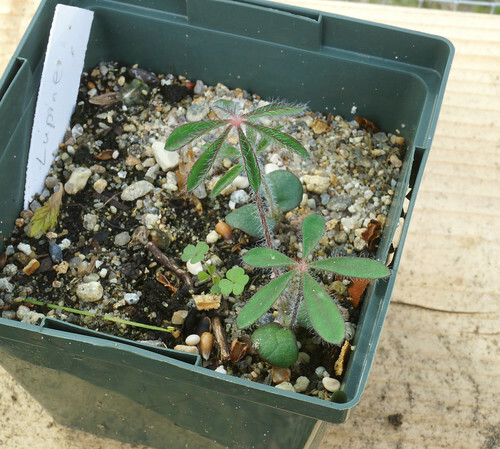 To check out all the native seedlings, visit the Flickr album.